The boys and girls tennis teams of Punahou ruled the courts during the state tournament, which was staged on the Big Island over the weekend. From Punahou, No. 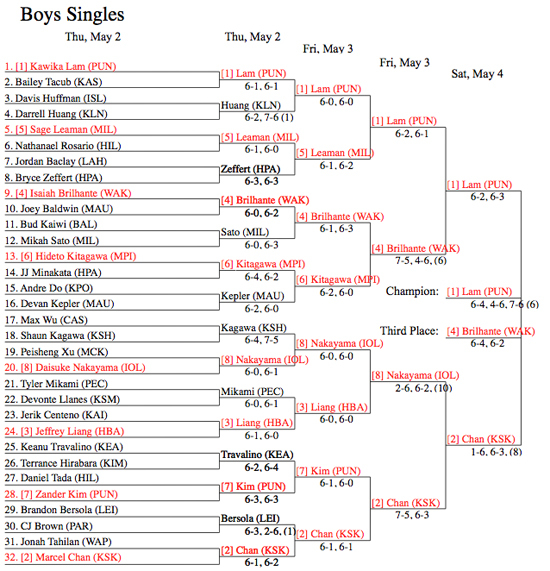 1 seed Kawika Lam won the boys singles and No. 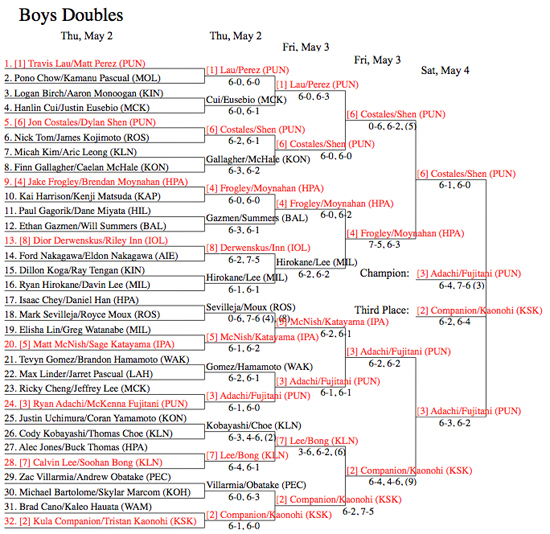 3 seed Ryan Adachi and McKenna Fujitani won the boys doubles. In the girls brackets, No. 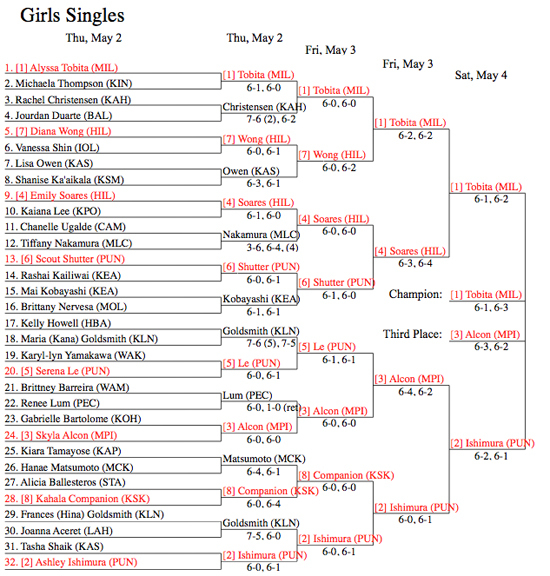 1 Alyssa Tobita of Mililani won the singles and No. 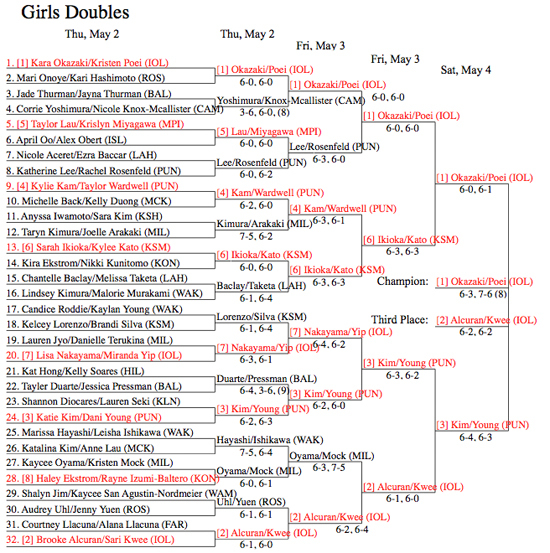 1 seed Kara Okazaki and Kristen Poei of Iolani won the doubles.